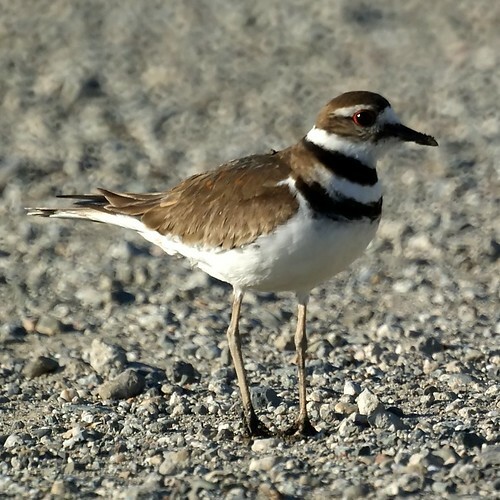 While walking along a path at Coyote Point Recreation Area in San Mateo, a killdeer made a big fuss and then pretended to have a broken wing. Because I watch the Discovery Channel (or was it Zoboomafoo), I knew it was trying to distract me from its nest and perhaps its chicks. I did look around for the baby birds, but didn't find any. 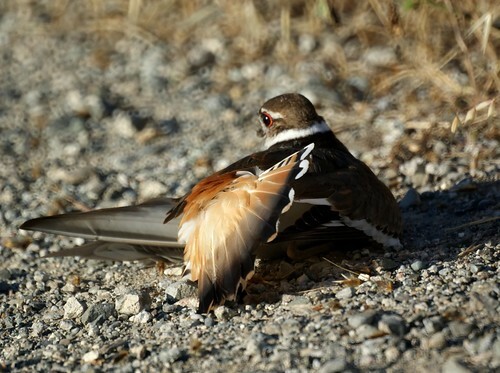 I did follow the killdeer to get a photo of the broken wing act so I guess it worked.